This is the ultimate in first aid and emergency kits. this kit includes Hygiene, first aid, search and rescue and survival. 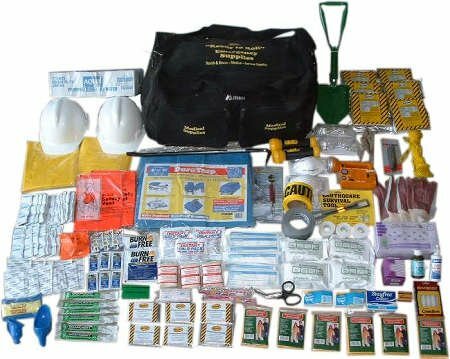 This kit is great for rescue orgs., CERTs or anyone person or group that faces the possibility of needing supplies for a large number of people in an emergency. The Entire Kit is Packaged in a rugged nylon carry case on wheels and has a carrying strap and external pockets for your medical supplies.